PayPal Working Capital Loans: How Does PayPal Working Capital Work? PayPal Working Capital: Is It the Right Choice for Your Business? Interested in PayPal working capital funding for your business? 1. Do you accept PayPal as a form of payment for your business and need working capital? 2. Do you process sales through a PayPal business account? If either is true, you may be able to take advantage of a highly flexible and extremely affordable form of business financing called PayPal Working Capital. In 2013, global payment processor PayPal ventured into the alternative lending space offering small business loans with their PayPal Working Capital space. And, since then, they’ve expanded their offerings to include traditional business loans as well. The only caveat to PayPal Working Capital is that it’s only available to merchants who accept regular business payments into their PayPal accounts. But based on the latest statistics, that’s a pretty large percentage of small businesses. To date, PayPal has now lent nearly $4.8 billion U.S. dollars globally through it’s working capital program, making it a growing powerhouse in the alternative lending space. So, how does PayPal Working Capital work? And is it right for you? We’ll talk about all of that and more below. How does PayPal Working Capital work? PayPal’s working capital program are treated as loans which are backed by your regular PayPal business transactions. Your approval amount is entirely based on your annual PayPal sales (not your entire business’ transactions). 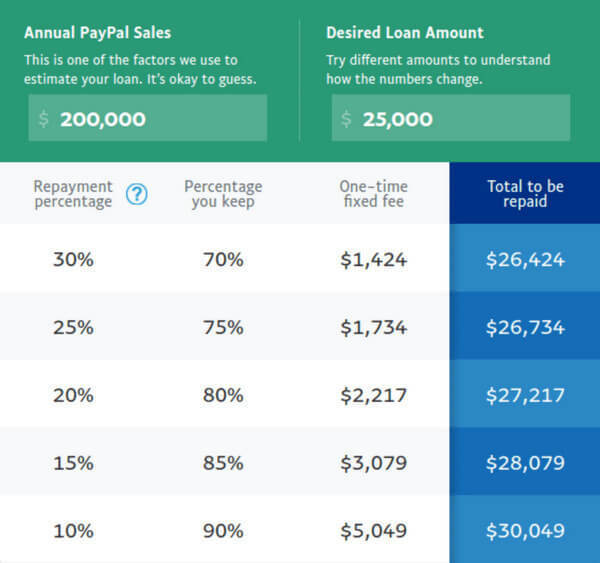 Instead of an interest rate, PayPal charges you a 1-time fee (also called a factor rate) based on a percentage of the loan which gets added to your repayment total. There are no additional fees attached to the PayPal Working Capital program. Although there is no set repayment date for a PayPal Working Capital loan, a set percentage is taken from your weekly PayPal business transactions to repay the loan within an 18-month time period. 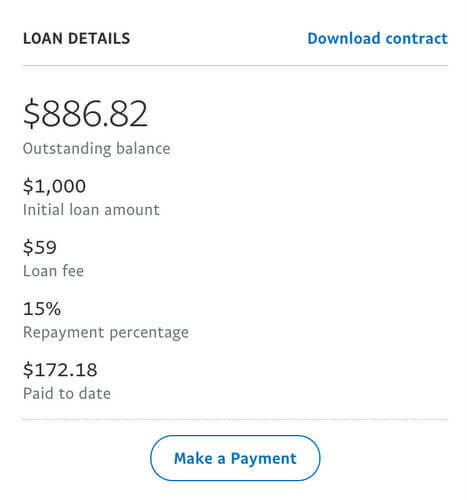 Although PayPal offers great flexibility with respect to approval terms and repayment options, as you can see, the 1-time fee can get quite high. However, it should be remembered that this fee is replacing the interest you’d typically pay with a traditional bank loan. Once you select your terms, you’ll receive the funds within minutes and your repayment percentage will immediately begin to be taken from your PayPal transactions until the loan is paid in full. While PayPal’s Working Capital program has already had great success, the company has continued to expand its small business financing offerings. Founded in 2006, Swift Financial has provided more than 20,000 business with funding and has consistently been listed on the Inc. 5000 list. 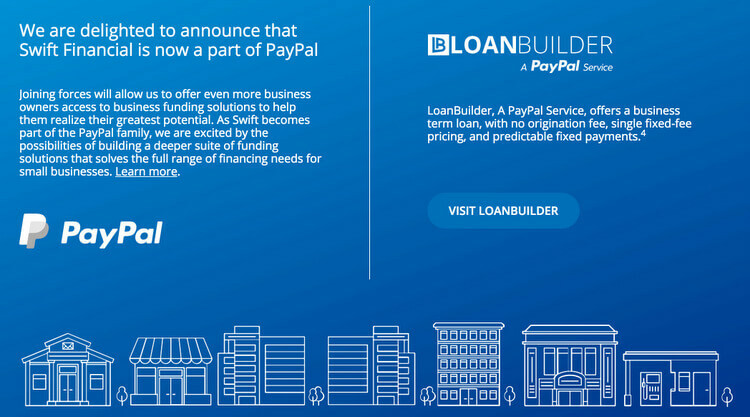 With PayPal’s acquisition of Swift Financial, they now have new options to compete with the increasingly more crowded space online lending, including more recent competitors Square and Kabbage. Is Paypal working capital right for you? So, the PayPal Working Capital program might sound great, but is it right for you? 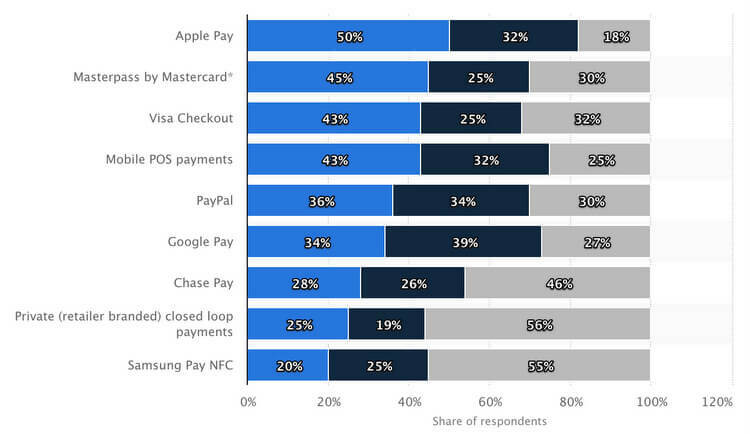 Despite the growing popularity of digital payment options such as PayPal and Apple Pay, most brick-and-mortar businesses still don’t accept PayPal. If you don’t already accept credit cards and therefore can’t accept payments to a PayPal account, you might be wondering if you’re missing out on new and unique financing offers. Considering the shift to digital payment methods, it’s definitely smart to consider what you’re losing by not at least accepting credit and debit cards, if not any form of digital wallet. 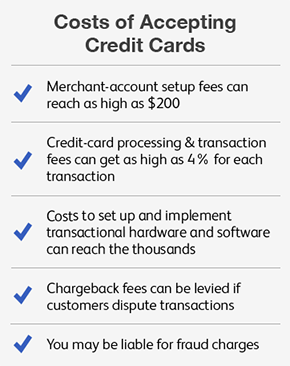 Another important point is if you’re in a service-based or manufacturing space, cash, wire or ACH may simply be your preferred payment method. If that’s the case, you have no need to begin accepting digital payment methods. Thought the PayPal Working Capital program may sound unique at first, the lack of credit requirements and the use of cash flow as a primary qualifying factor are more global trends in the alternative lending industry, brought on by the fintech movement. These alternative programs are designed specifically for businesses and business owners who either don’t have have the credit to be approved or can’t meet the collateral requirements of a traditional bank loan. An unsecured business loan is ideal for business owners who don’t accept any form of electronic payment other than wires and ACH. What’s required to be approved for an unsecured line of credit? Many business owners have the misconception that lines of credit aren’t attainable without strong credit, positive financials (tax return, P&L, and balance sheet review), and collateral. We offer a true line of credit program that you can qualify for in less than 10 minutes and requires minimal paperwork. Our business lines of credit are flexible and allow you to utilize funding when you need it with the click of a button. The program is designed to approve you for the maximum amount and allows you to draw down the balance as you need it. What is required for a business line of credit? Accounts receivable factoring is a highly unique form of financing. It’s ideal for any business which pays either for service rendered or work completed. With accounts receivable factoring, you can get the funding you need to pay for your working capital expenses, such as product or service, upfront thereby helping bridge the gap between when you pay and when you receive payment. With invoice factoring, it’s not your creditworthiness that’s considered but the creditworthiness of the vendors invoiced. Whether PayPal Working Capital is a fit for you or not, you have options for acquiring the working capital you need. And as time goes on, small business options for working capital financing continue to grow and diversify, meaning more power and flexibility for you as a business owner. Review your options and see what the best fit is for you.